Home Vegetable Garden in our back yard is for growing small and large vegetables; tubers; herbs and spices. 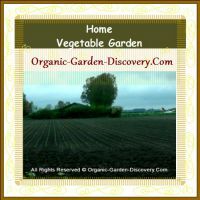 Six years ago when we started to grow our organic vegetables, we had spent quite a price for the vegetables garden. 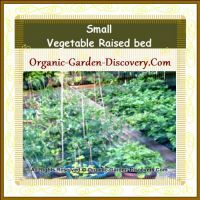 Those days we were totally new with the vegetables garden layout; and we were totally confused with what we had read from the books; so, we exercised our own natural growing methods and simple design ideas. I often asked myself; if there is no information what should I do. Information is only a guide as there won't be two places exactly the same ground condition, the same weather, the same degrees of humidity in the air; and the same temperature, so, the result will never be the same. In the year 2003 the sun was bright and strong in the summer. For a start, we had successfully planted the eggplants, bell peppers and tomatoes; and harvested them well without much trouble. In the second year, the weather went terrible. When we expected a sunny day, it had rain whole day. These days, nothing is for sure. We have to learn to listen to the weather forecast everyday, before setting out our vegetable plants and flowers to the garden. If you have a small place like ours, you may have to consider more flexible vegetable growing plans. 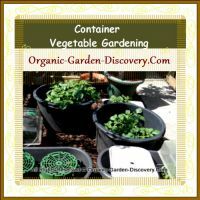 If you wish to experience growing different types of vegetables every year with very limited gardening space; you may have to re-design your backyard garden each year; to make more growing rooms for your new vegetable fruits; or simply implement a container gardening concept. In my view, if you are totally new to vegetable planting; the easiest way to begin is, to learn how to grow bean sprouts indoor. 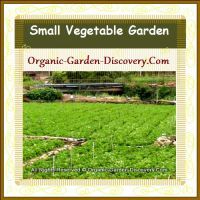 When your organic seeds sprouting skill is establish; you can start growing vegetables that you love; and learn insects pests controlling skills; and so; you can achieve your own top quality organic food. 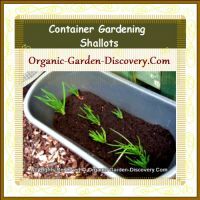 Either you are planning a small vegetable garden; or a big farm vegetable plot; or a greenhouse container vegetable garden; or a tabletop grow box; or an upside down gardening project, you will be glad that you are building it in a natural way. 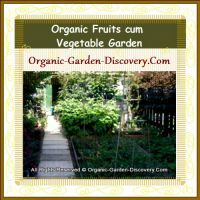 Let's start laying your productive table top organic vegetable garden right away!